Stanley Ipkiss ( <a href='/name/nm0000120/'>Jim Carrey</a>) is a bank clerk that is an incredibly nice man. Unfortunately, he is too nice for his own good and is a pushover when it comes to confrontations. After one of the worst days of his life, he finds a mask that depicts Loki, the Norse night god of mischief. Now, when he puts it on, he becomes his inner, self: a cartoon romantic wild man. 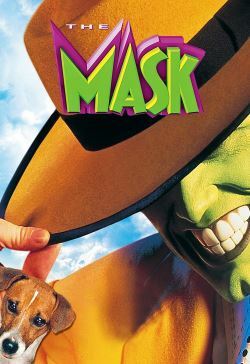 However, a small time crime boss, Dorian Tyrel ( <a href='/name/nm0338886/'>Peter Greene</a>), comes across this character dubbed "The Mask" by the media. After Ipkiss's alter ego indirectly kills his friend in crime, Tyrel now wants this green-faced goon destroyed.